Sometimes we forget that scientists like to be amused just as much as other individuals, and the illustration in the November 20/08 issue of Nature is certainly amusing. You see five ducks swimming serenely in a row. Above the water line, they are all identical but below the surface one duck is propelled along by a massive tricycle, one has extremely long legs with webbed feet, one has normal legs, one is propelled by a motorized propeller and the last one sits serenely on top of a gigantic octopus. The amusing illustration in the Nature article, was actually promoting a similar idea. Organisms may look similar on the outside, it declares, but on the inside, their genetic information may be vastly different. Why does this matter? Well, it is certainly contrary to evolutionary expectations. As scientists first started building up a database of DNA coding in various organisms, they knew what they expected to find. Based on evolution theory, they expected that organisms that seemed to have a close evolutionary relationship would exhibit similar DNA codes, and those with a remote connection would show much different collections of code. In previous generations, scientists looked for similarities in form and function among organisms to draw conclusions about evolutionary relationships. Thus catlike animals would all be placed in the same group. Obviously the experts expected that the results of DNA coding studies would reflect the relationships already established on the basis of similarity in shape and biology. But often that’s not what happened. The illustration of the ducks, so similar above the water line, represents the form and function of organisms. The vastly different controlling mechanisms below the water represent the here-to-fore hidden differences in the DNA controls inside organisms. The first sign of unfulfilled evolutionary expectations was when the DNA from a spectrum of organisms was compared. Often the most similar DNA coding was not found among organisms that looked the most similar. SIMILAR APPEARANCE ≠ SIMILAR DNA? This discovery can also be compared to an adult assembling two children’s toys. The first box is opened and various component parts fall out along with an instruction sheet. The brave parent duly sets to work and assembles the toy. Now imagine a second box is opened and a similar toy needs to be assembled. The parent thinks this one should be easy, but alas, he discovers the component parts are all differently shaped and the instructions are different too. However in due course the second toy is assembled, and it looks and works much like the first toy. If the parent didn’t know that the insides of the two toys were very different, he might have thought they came from the same company. But after seeing the instruction sheet and all the parts, the parent realizes that these two toys must have come from totally separate sources. Even if the first company had wanted to produce a slightly more elaborate model, it would not change the basic components and instructions. It would merely modify the initial program as required. It is the same with DNA coding in an organism’s cells. Even if the end result looks and works the same, if the instructions and component parts in the cell are very different, we suspect that the organisms have entirely separate sources, or lines of descent. The response of the scientific community to this unfulfilled expectation was to change the groupings of organisms so that the pattern of DNA differences once again gave a picture of gradual change. The problem with this solution however is that the new groupings did not make much sense. Now creatures were grouped together as closely related, in an evolutionary sense, that did not have much in common at all. Hence we now have a classic “conflict between molecules and morphology [shape].” As a result, over the past twenty years, we have seen a “radical re-ordering of relationships” among many animal groups (Nature Feb. 12/09 pp. 812 and 816). The same holds true for plants. So scientists have rearranged their groupings, often in illogical ways, to make the DNA fit an evolutionary scenario. The ducky illustration, however, applies more closely to other problems for evolution theory. Biochemists firstly noticed that many creatures which have few characteristics in common, nevertheless have many genes which are “virtually identical” (Nature Nov. 20/08 p 300). This can be made to fit both evolution theory and design. Evolutionists interpret this as showing lines of common descent, even if very remote. Meanwhile creationists understand this as showing God’s choosing to use some similar elements in otherwise very different creatures. But at the same time, the experts have found “closely connected species can connect up their genes in very different regulatory networks while keeping the end result deceptively unchanged” (p. 300). Not only have the scientists found that similar organisms may use genes in different ways, but they may even use entirely different genes to produce the same result (p. 301). “Now researchers are trying to understand how evolution finds the solutions it does, and why. Some think that this ‘underground’ variation was selected for. Some think it appeared by chance” (p. 300). When scientists appeal to chance for an explanation, it means that they have no explanation. The article in Nature declares that the situation “feels very counter-intuitive.” But is it? It all depends upon one’s basic premises. If evolution is the basis for one’s interpretation of nature, then the results do not make sense: very similar organisms (often microorganisms) using very different molecules to achieve the same result. It is obvious that many DNA data do not fit evolutionary expectations. However, the scientists involved simply look for alternative evolutionary explanations. It seems evident that this irregular pattern of DNA coding better fits an explanation involving intelligent choices by God the Creator. The evolutionist may retort that this does not prove the case for creation. Fair enough. There is no proof to be had in science. The evolutionists claim that all data can be accommodated within their worldview – this is not proof, but preference. Similarly we insist that all data fit Biblical revelation. In the case of DNA, the information from nature does not fit evolutionary expectations very well at all. It does fit the creation model better. Don’t expect ducks, however, to show the scale of internal diversity illustrated in the Nature article. That was merely for purposes of illustration. However, if anyone sees a duck driven by a propeller, let me know! 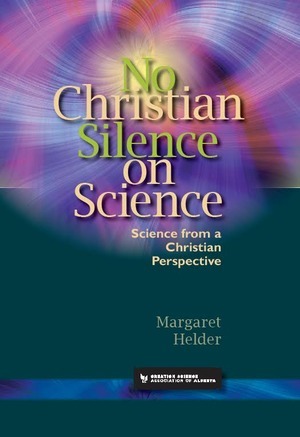 This is an edited version of an article that first appeared in September 2009 issue of Reformed Perspective under the title “On ducks and DNA.” Dr. Margaret Helder is the author of No Christian Silence in Science, a book every Christian teen considering a career in Science should read before heading off to university. Busy bees. Dazzling dragonflies. Meddlesome mosquitoes. They all have the most amazing flying abilities. How do they do it? We are happy to offer a new article about God’s marvellous creation which explains some of the secrets of insect flight, supplied to us by Mr. Martin Tampier. Martin is a professional engineer and energy consultant in Laval, Quebec. He is also a hobby photographer fascinated by insects, as the amazing close-ups of flying insects in the article demonstrate. He has already published elsewhere on God’s amazing creation. We thank him kindly for this article and trust that readers will praise God as they learn more about how insects fly. Research around insect flight is on-going and many mysteries still need to be solved. However, some of the complicated features of insect wings are already being copied for man-made technology, including the development of micro-aerial vehicles—ironically modelled after the ‘primitive’ flying of dragonflies. So while they may not recognize insects as divinely designed, researchers are confirming that they are incredibly complex and use extremely sophisticated physical mechanisms. To date, even the most amazing modelling software is insufficient to properly show how they achieve all of their amazing feats. To read the entire article and enjoy the exquisite photographs, click here. When I was a seminary student, we had the privilege of having Dr. Margaret Helder as a guest speaker. Having grown up in Edmonton, Dr. Helder was not a stranger to me. She had occasionally been a guest speaker at our Christian school in Alberta. However, on this particular occasion at the Canadian Reformed Seminary in Hamilton, I heard her say something that I couldn’t recall having heard before. I don’t remember if it was part of her original presentation or in reply to a question, but she pointed out that the so-called Big Bang and Genesis are incompatible. I don’t remember the exact reasons she gave as to why that was, but it sounded quite reasonable to me at the time and, since then, I’ve kept it in the back of my mind. 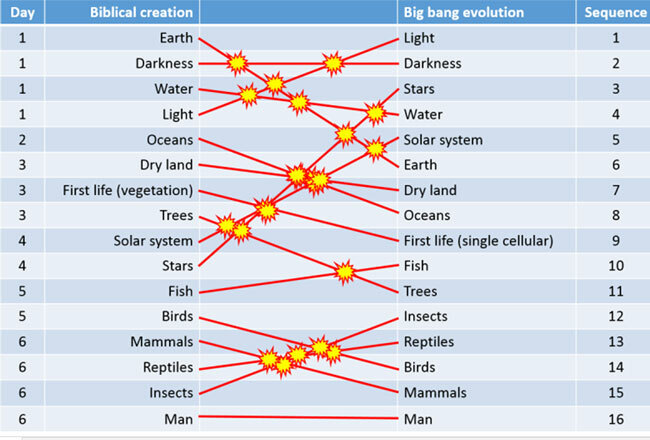 I know the Big Bang idea is controversial with some Christians, but I think that’s because they haven’t realized how well it fits the Story [the Christian worldview laid out in the Bible], which basically says the same thing. So according to Koukl, the Big Bang fits with Genesis 1:1, “In the beginning, God created the heavens and the earth.” Reading this gave me occasion to look a little more into this and refresh my memory as to why Dr. Helder had told a group of seminary students and professors otherwise. Does the Big Bang really fit the story that well? Perhaps if you define “Big Bang” in some way that doesn’t reflect how it’s really being used in astrophysics. Maybe that’s what Koukl has done. Or perhaps if you insist that Genesis 1-2 don’t give us a chronologically accurate, historic account of the origins of the universe. Of course, that second option could find you up against Jesus Christ, who clearly taught that Adam and Eve were created at the beginning (Matthew 19:4). No, I still think that Dr. Helder was right. There’s no reconciling the Big Bang and God’s Word.